Executing an effective lead management strategy is more vital to growing a business today than perhaps it ever has been before. At the very least, it’s significantly more complicated. Thanks to the Internet, there are now more leads available for more businesses than at any other time in history. With somewhere between three and four billion people now online - nearly half of the world’s entire population - every business in every industry now has access to a vast pool of potential buyers. However, this makes the challenge of lead management a multi-faceted issue. There are a variety of problems that can arise from poor lead management, and a savvy indirect sales organization will need to address all of them to successfully grow their business and customer base. While we recognize that Partner Relationship Management (PRM) software can go a long way towards addressing those issues, there are a number of procedural factors to consider along the way. It would have been unthinkable even a decade ago, but today, the problem of having too many leads is a very real one. Businesses that go “all in” trying to get as many people on its mailing list as possible then end up with a lead database crammed full of a truly unmanageable number of people, and without enough sales staff to address most of them. In fact, according to Gleanster Research, only 25% of leads in most businesses’ databases are actually qualified enough to plausibly become customers. But how do you determine which of those are likely to do business? Without the right qualification processes, a sales staff can easily waste incredible amounts of time and money chasing poorly-qualified leads. This is especially important at the vendor level! 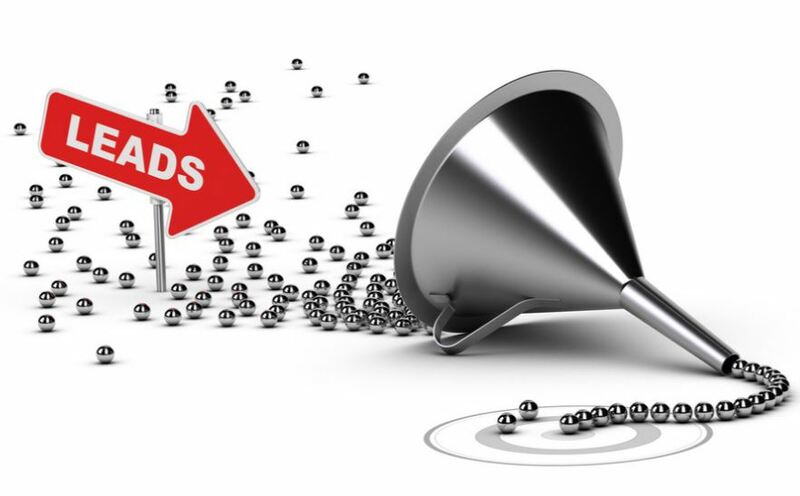 Many companies that participate in lead distribution programs are sending junk leads down to their partners. Inevitably, those partners stop wasting their time trying to track them down and the highly qualified, interested buyers, end up slipping through the cracks. A solid PRM system allows for advance lead tracking and follow-up. It’s like CRM in this respect, except PRM integration allows CRM-style insights to be spread throughout the entire ecosystem. It also allows top-level vendors to actively participate in lead-gathering and lead-qualifying, passing the best prospects along to the appropriate sales partner. The other issue with the excess of leads is how many opportunities can be lost specifically because of leads being snatched up by other, more agile businesses. InsideSales found that anywhere between 30-50% of buyers who have sent queries to multiple potential sales sources simply buy from the first one to respond. This makes the inefficiency of poor lead management a true one-two punch to a business’s attempts at optimization. Their sales staff aren’t just wasting time chasing unqualified leads, they’re losing their chance at grabbing the best qualified leads at the same time. Grabbing those leads means not just identifying them, but nurturing them with prompt communications and targeted content that meets their needs. PRM gives vendors the power to oversee lead nurturing at every level, and track results so that they can continually refine the processes that their sales partners are using. The other side of the customer-interaction coin is the impression which is made on the customers, and how that reflects on your ecosystem. The buying cycle at a great many businesses has become shorter, often radically shorter. After all, they’re also trying to keep up with consistently-changing business environments and buyer behavior, so they usually don’t have the luxury to spend months researching products and haggling with sales staff. Furthermore, buyers expect consistency in their interactions. One of the biggest signs that a company is a smooth, well-oiled machine is when a buyer can have interactions with multiple agents at multiple levels within the organization, while receiving the same excellent experience at all points. Inconsistent customer experiences are often seen as a sign of larger internal problems. PRM gives you the tools you need to encourage consistency in the interactions your partners have with leads. Every lead and every interaction is tracked. If they move between talking to a local sales partner to talking to one of your own agents, or even move between sales partners, those interactions are always logged and available. When backed by well-implemented policies, PRM means that a lead can interact with every area of your ecosystem and receive roughly the same level of treatment throughout. This can be a key point of differentiation, if you’re competing against companies which are more monolithic in their structure. An indirect-sales organization shouldn’t feel disjointed to the customer. Partner Relationship Management software is the only tool which can truly tie all aspects of a channel ecosystem together, and allow them to function as a cohesive whole. If you’ve been struggling with effective lead management, or find there is too much disparity in how your sales partners treat their leads, PRM could be the answer to these issues. Contact LogicBay today and schedule a free demonstration of our industry-leading PRM tool. You’ll see for yourself just how much it can do to optimize your organization.